We understand that the quicker you receive a solution, the more efficient you will be in your facility. In the world of manufacturing "Time is Money". When developing a filtration solution for your systems, we administer a process analysis including site surveys, project planning, equipment modernization, and media and equipment specification for commercial and industrial applications. We are more then just another supplier, we are your partner in application and industry specific solutions. Our customers have over 25 years of experience and knowledge as a resource at their fingertips. Your final products' quality is only determined by the process in which it is created. We believe that in order for you to achieve the highest quality products we must provide you with the highest quality processes and service. With our preferred supplier status of the top manufactures in the world together we will accomplish that. For customers who do not have a preventative maintenance team or don't want to take on that responsibility, we offer scheduled delivery and installation for replacement media as well as routine visits for preventative maintenance analysis. tramp oil filters, cartridges, and bag filters. process water, brewery tank vent gases, and clarification of fine beverages such as beer and wine. Our industry specific product lines provide a wide range of solutions. Whether you’re a large manufacturing facility or a small plant, process filtration is critical. Hydrotech specializes in applications from water, air, and gas with a full line of products including cartridges, bag filters, and vessels. 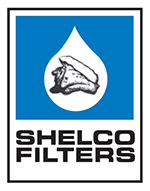 We are dedicated to providing the solutions for any of your process filtration needs. If you are having problems with suspended solids, chemicals and oils in your water, Hydrotech Water Treatment solutions will help you meet the requirements of even the most stringent regulations. We offer the highest quality centrifugal/sand, bag, string wound filters, vessels, oil-water separators, and batch treatment systems in the water treatment industry. Hydrotech will ensure that your systems run at their peak efficiency by keeping the insulating oils free of contaminants and water. We have a wide variety of products to support the Utilities & Power Generation industry. Our products include, but are not limited to tap changer filters/system, portable filter carts, insulating oil filters, depth filters, and dissolved water cartridges. Hydrotech supports many applications in the fuel and aviation industry with top of the line products such as filter cartridges, housings, and spill containment. These products coupled with our expertise in the fuel & aviation industry ensure that the stringent cleanliness requirements of aviation fuels are met.